Nic’s Keto Diet - If you eat sugar you become fat. If you eat fat, you lose weight. 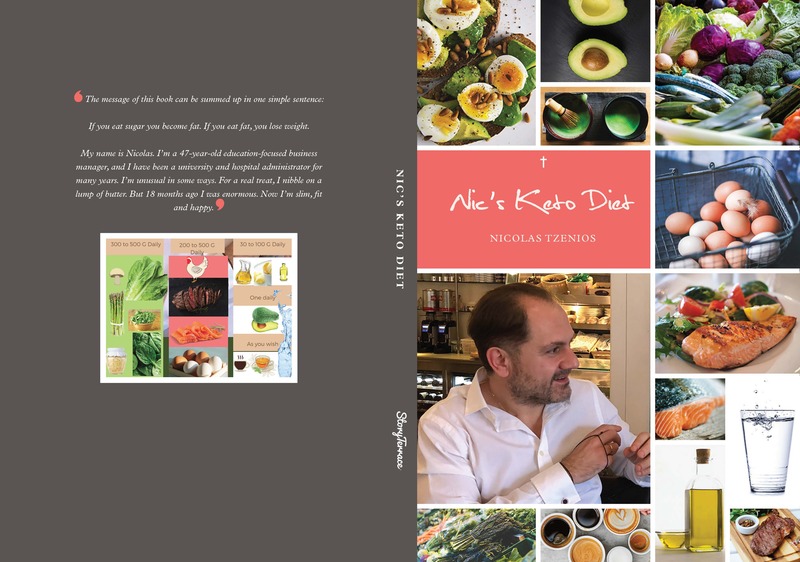 LONDON, NOVEMBER 7, 2018 - A new book called ‘Nic’s Keto Diet’ by Nicolas Tzenios has been produced and released in tandem with London-based publishing startup Story Terrace. The book aims to spread the message that It isn’t fat that’s responsible for the epidemic of obesity sweeping the planet, It’s sugar! “...it sounds crazy to suggest that the way to lose body fat is to eat more fat than you are already doing. But remember, biology is not simple mathematics or physics. Our bodies break down what we eat and turn it into other things, including energy.” Nicolas Tzenios. If you eat sugar you become fat. If you eat fat, you lose weight. Of course, in practice things aren’t quite as simple as this. You have to eat the right kind of fat, in the right quantity and at the right times. It also makes all the difference what else you are putting into your body. The quickest way to become enormous, for example, is to consume high quantities of both fat and carbohydrate, as found in the worst and hardest to resist doughnut. But the basic message remains true. It isn’t fat that’s responsible for the epidemic of obesity sweeping the planet. It’s sugar! My name is Nicolas. I’m a 47-year-old education-focused business manager, and I have been a university and hospital administrator for many years. I’m unusual in some ways. For a real treat, I nibble on a lump of butter. But 18 months ago I was enormous. 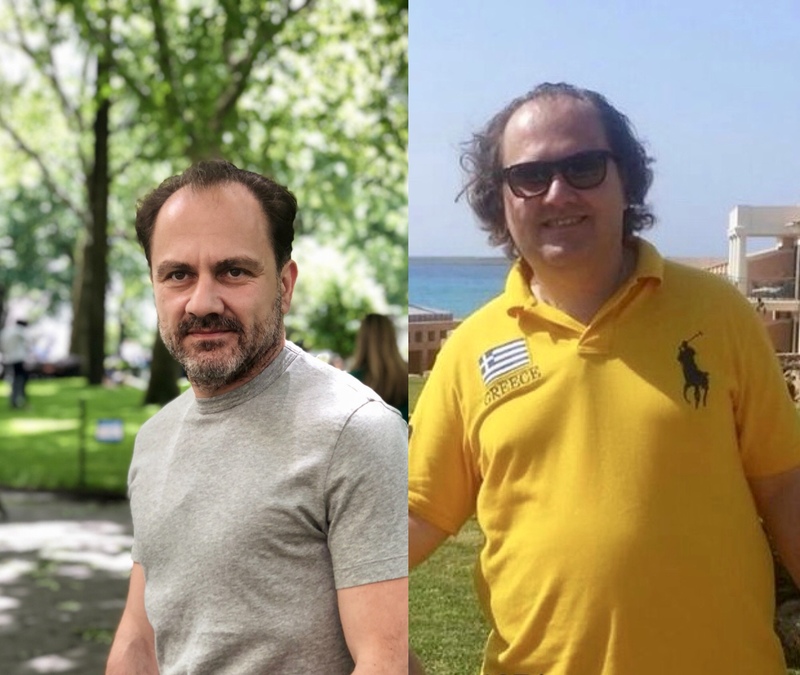 Now I’m slim, fit and happy. The book is available to purchase now via Amazon. We also have a limited number of review copies available to people in exchange for a review, media interview or feature about the book. Please email info@authoramp.com or Nicolas@ketoandortganic.com if you would like to request a copy. This press release was distributed by ResponseSource Press Release Wire on behalf of KETOANDORGANIC in the following categories: Men's Interest, Health, Women's Interest & Beauty, for more information visit https://pressreleasewire.responsesource.com/about.